Q: "Will we be overwhelmed with orders when we turn on Joe?" A: Think of joe as a tool for your business. In most markets, your orders will be determined by how well and how frequently you promote the new service to your customers. From there, word of mouth begins to spread and you'll find that you see your customers more frequently and they generally order more items (30% larger tickets on average). Furthermore, we allow you to customize how and when you receive orders to fit your business needs. Our service allows you to turn off mobile ordering manually, tailor the hours you can receive orders and offer any version of the menu you prefer. Some of our partners begin with only lattes, drip and americanos until they feel comfortable then expand to a full menu including food. Others offer their entire menu right away and limit the hours they are able to receive orders. 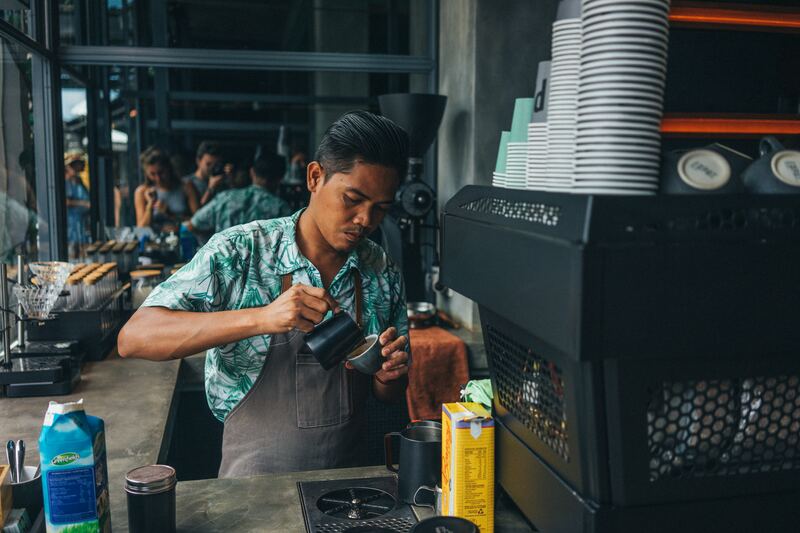 Every shop is different, the key is to maximize value for your business and make life easy on the baristas and managers. Q: "Will our process be disrupted?" A: Baristas are already juggling a dozen things at any given time. Changing a process they are comfortable with is the last thing we want to do. We've designed the entire experience to be flexible so that using joe integrates into your existing process. For 99.9% of orders, baristas will only need to tap two buttons and we set the expectation through the app that the customer will receive a notification when their order is ready. We also offer multiple ways to receive alerts that an order has been received so we make sense for businesses of every size. Q: "What if we don't want to use a dedicated tablet?" We have multiple ways you can be alerted about orders based on what you are most comfortable with. Joe can be used on any iOS or Android device including phones and any size tablet. We also offer an option to be alerted with an automated phone call so you never miss an order and can have the option of letting the joe app run in the background on your POS or smartphone and checking it when you get the photo call that starts, "It's Joe Time!" Q: "How much does this cost us?" Here's the short answer: nothing more than you would if someone paid with a card in person. Long answer: businesses pay the 2.9% fee credit card processing plus the cost of reward redeemptions ($5 when a customer spends $65 through the app, we pay the difference if it ever goes above 8% of revenue). Q: "What if I have ideas that can make this a better product?" Awesome! We work directly with our partners to prioritize new features and add flexibility to our platform with every update. While we're always getting better and adding coffee-lovers to our marketplace, it's up to our partners to make joe as big or small a part of their business as they please. Shops that offer exclusive deals receive more orders per customer with higher average tickets so there is a lot to be gained by sharing the new service and taking the first step to competing on convenience with corporate chains. We're just happy we can play a part in growing your business together. Have a question you want answered? Drop us a line on Facebook, Twitter or Instagram. Sign up for a joe account here.